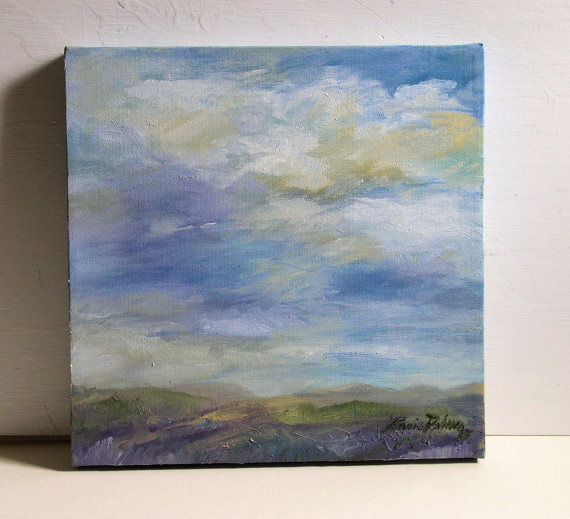 SOLD Nature Art clouds and fields collection by Laurie Rohner. 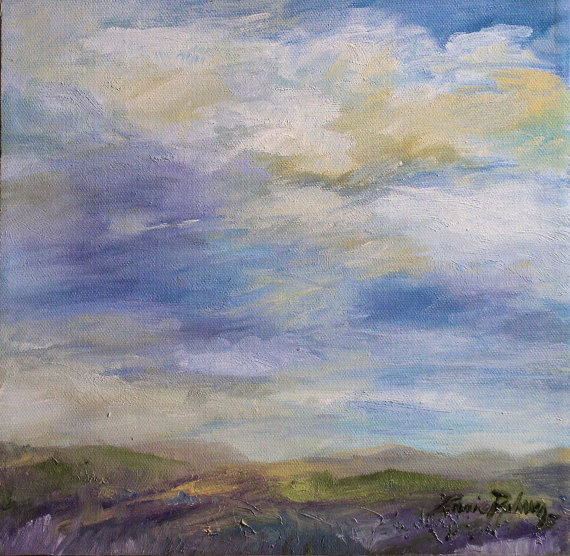 Original paintings oil on canvas painting of clouds and purple fields. 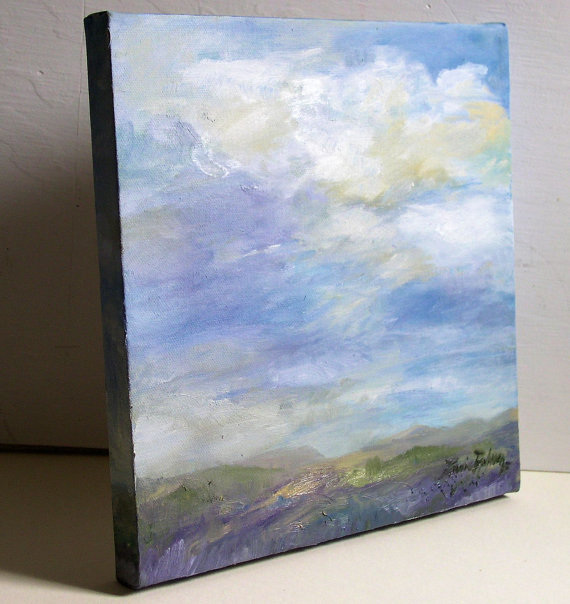 Original clouds oil painting landscape by Laurie Rohner titled Clouds and Purple Fields. Nature art is an original painting landscape of Vermont but could be anywhere. It is morning and the sun is just starting to brighten the clouds with color after a night of showers. The landscape shows mountains in the distance and the grasses are a beautiful shade of heather purple. Palette: cyan blue, sky blue, heather purple, lavender, yellow, green, umber, paynes gray, white, cream. The painting measures 10X 10 inches on wrapped canvas (3/4" deep) with staples on the back. These paintings have beautiful color and a great finish from high quality oil paints.